How cold is too cold for baby rabbits? We have a litter of kits that are 1 week old. They are currently in a nest box, with plenty of hay and fur, in a hutch with their mom. We have brought them inside a couple of nights though because the night temperature fell to about 32-34 degrees. The next couple of days are supposed to have high temps in the lower 40's. What temperature is too cold for them and when should they be brought inside to prevent them from getting too cold? Good question Brook. When the nest box is padded with at least 2 inches of wood shavings and stuffed with straw and/or hay, AND the doe pulls plenty of fur, meaning you can't see the kits at all under all the fur, then the babies should easily be able to survive sub-zero temperatures. At least, this is the opinion of rabbit breeders that live where winter temperatures regularly drop below zero. Our temps got down to 13 degrees last winter, and there were no problems with the babies. Gotta say, though, I'd be tempted to bring my kits inside if the temps started dipping into the single digits. Or, we might stuff the cage full of straw for extra insulation. 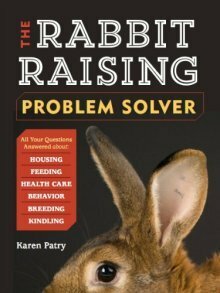 Comments for How cold is too cold for baby rabbits? In my experience, if they get out of the box, they won't survive even if they are inside. We lost one this year that way at 4 days old. Not sure if it fell out and got too cold or if mama kicked it out for a health reason. But we found the poor thing half under the nest box and it didn't survive. We just had a litter last night in the 30's. So far so good. In a nest box inside an enclosed section of the hutch under the barn, but not enclosed. I may put extra straw under the nest box for a little extra warmth, but mama put a ton of hay in there and there is so much fur I have to dig to find the little kits! The days are warming up to the 60's and even 70's in the forecast this week, so I think the coldest part of the night is only for a couple hours at this point. But nature always surprises me for good or for bad. Yesterday morning, one of our does got a litter of five kits. Her cage is in a hoop house and daily temperatures are relatively warm, in the 50’s. Usually at this time of year, nightly temperatures average 19 °F, but last night’s forecast was for 0 degrees. I had a nest box with a layer of half-an-inch of newspaper, four inches of wood shavings and stuffed with straw. The doe built her nest with all that material, adding a LOT of fur. Since I read on this site and others that they would be able to survive sub-zero temperatures I thought might as well try it and learn from experience. The temperature last night was a bit higher than 0 degrees, but the kits all died anyway. So I doubt that they can survive a temperature that cold. I know I won't try it again. So that's my two cents from a Canadian breeder. Add black oil sunflower seeds to your doe's diet to improve milk production. 1 tsp a day. Also I do not ration her pellet feed or hay while she is nursing. Give her all she wants. My rabbit had baby bunnies last night and it's going to be like 10 degrees Fahrenheit and I didn't get to check if they are all alive or how many there is. How do I figure this out? I want to get any dead ones out but if I uncover the nest, I'm worried it will kill them. What do I do? I stuck my hand inside the nest box she has and it felt warm so is that good or should I be checking on them even if it is a risk. Please help last time they didn't survive and I want this litter to live please help. Can you remove the nest box and take it into a warm place like your home? Then you can move aside the fur, quickly check the kits and the nest, and put it back in with the doe before the kits can get cold. Bunnies died at 4 weeks from cold temps? Could these bunnies have died from it being this temperature of the low 30's, or is something else going on? They had been eating some of the mother's pellet food and nursing too. We only have one little one, so I cleaned out the box, put down the rest of the wood chips and filled it full of straw.....thanks in advance for any help. 30-ish degrees should be no problem for 4-week-old bunnies, especially those that have littermates to cuddle with. A more likely cause is probably something on the order of gastroenteritis. This could have been brought on either by germs in the nest box, or by a diet imbalance. The cold temps are not the cause, but could have been a triggering factor due to stress. Any other remaining kits are at increased risk of death from the same cause. 1) Thoroughly disinfect the nest box, or remove it entirely. For a bit of protection from the cold (reducing stress levels) you can fill a clean shallow cardboard box with shavings and straw and provide it to the doe/kit(s). Or, turn the disinfected nest box on its side in the cage and stuff it with straw. 2) Remove all food immediately and provide nothing but water and hay for the next 48 - 72 hours. This will help to normalize the intestinal flora and avert more deaths. Don't forget that I am not a vet. My experience and opinion about what you have told me does not substitute for a vet's opinion. I might be right on, of course, but then again, I can only offer an experienced opinion based upon the information I receive. Best of luck with your rabbits going forward! Silly story - I thought this 1-month-old rabbit was a girl, so of course I put it with the girl. Then one morning when I fed my rabbits there were babies! Sadly they all died and I didn't even know she was pregnant. I'm pretty sure she is pregnant now, and now I know just what to do when it comes. Thanks for all your help for telling me what to do to keep my babies alive! Our babies arrived last night!! I believe there are 4 alive in the nest box, two were still-born..we had a nice mild night, but it is supposed to get in the 20's tonight..I have them in an enclosed area, and I went ahead and hung a heat lamp in the enclosure as well..they seem nice and warm in the nest box..I do have a heated shed I can move her if I need to..do you think it is necessary? I don't want to stress her out with the move if I don't need to..thanks so much, I really appreciate all your advice you share!! If the nest box has a couple inches of bedding in the bottom, lots of hay and straw on the top of that bedding in which the kits are nestled, and there is so much fur pulled that you cannot see the kits, then in my experience, they will be warm enough in 20-degree F weather with no additional interventions. You can always groom more fur out of the doe or another rabbit and add it to the nest if you think it is needed. Should we use a heat lamp? Our doe is due next week and the temps should be in the 30's to 40's at night..she is in an enclosed area, should we put a heat lamp in the area as well? She lost her first litter, so we are really anticipating this one! How hot do you think you want the space? If your rabbit feels the nest box is too hot, you risk her failure to use the box. The temperature range you list is no problem to rabbits. It may be best to simply monitor the rabbit's progress and be ready to intervene only if a problem arises. I did add calf manna after that to my doe's feed as well, she was definitely not a good milker and now is doing much better. You are probably right in that they were attached to mom when she left, I never thought of that. She kindled on Wednesday and the babies are doing wonderful in the house, but it has been getting below zero here so I'm glad they're in. I had kits born out in our barn when it was 30-40 degrees out with a warm nestbox, unfortunately after a week two of them climbed out and froze, so I brought my doe and the remaining baby inside and she will kindle inside again. I won't take any chances. Did they climb out (nestbox needs to be redesigned), or were they attached to a spigot when the doe hopped out? In this case add some calf manna or a 1/2 tsp of olive oil to the feed. This will enhance milk production, and the kits will stay put next time cuz their tummies will be happy.